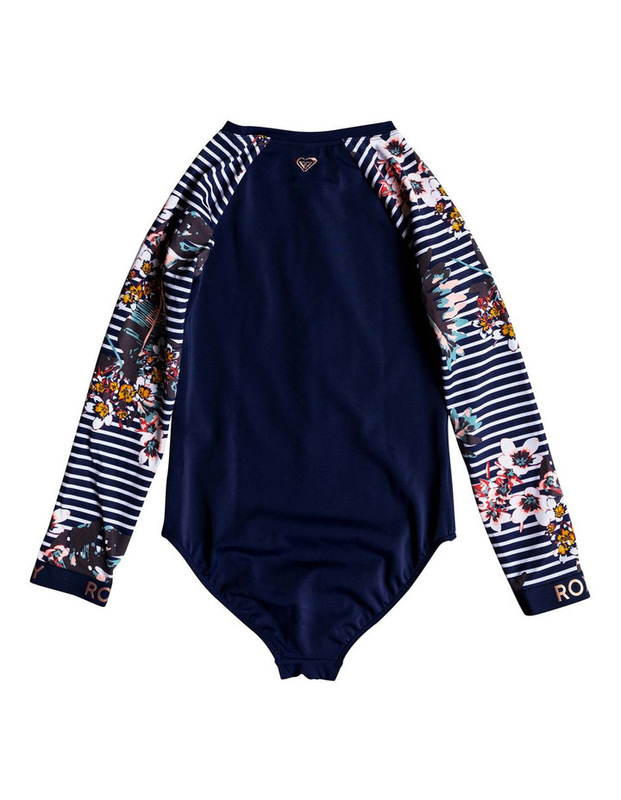 Long sleeve UPF 50 zip-up one-piece rashguard for girls cut in a chlorine-resistant Xtra Life? Lycra?, tailored in a fitted shape. 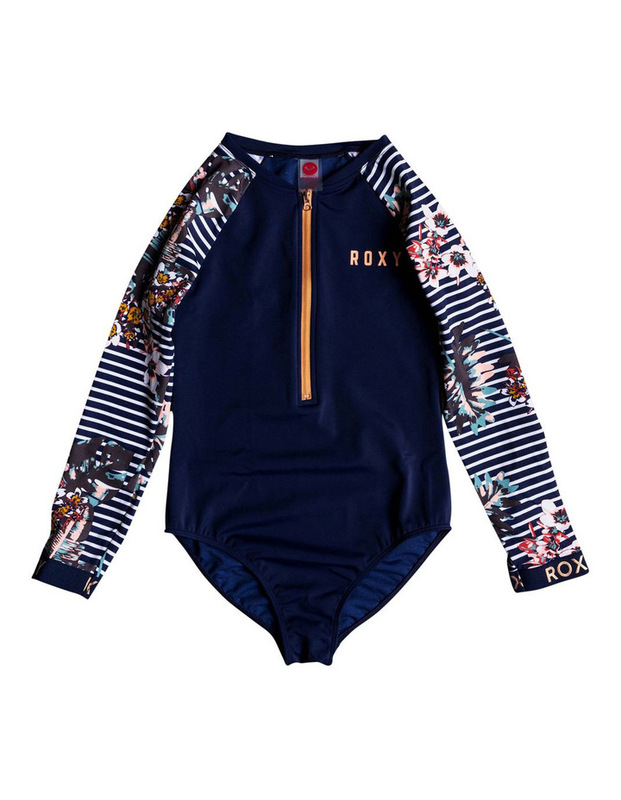 Complete with UPF 50 sun protection.